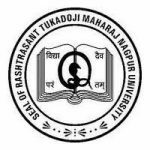 RTMNU (Rashtrasant Tukadoji Maharaj Nagpur University) conducts an admission procedure called as RTM Nagpur University Admission 2019 (RTMNU 2019) with a motive to provide admission to the eligible applicants in different undergraduate and postgraduate courses. All the notification related to the admission procedure will be updated on the official website of the university for the reference of the applicants. 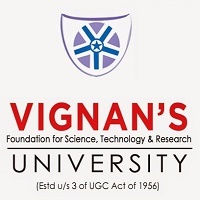 Conducting Body (UGC)University Grants Commission. It is important that the applicants fill and submit the application form in order to appear for the admission procedure. However, applicants can fill the application form in online mode only. So applicants can start filing the application form in the month of June 2019. In order to fill the application form, applicants need to register themselves on the website by entering necessary details. After that applicants need to download the application form from the official website. After downloading the application form applicants can start filing the application form. But before starting the filing of the application form applicants need to check all the instructions related to the admission procedure. After that applicants need to start filing the application form by entering necessary details in it. And once all the details in the application form are successfully filled applicants need to check all the details in the application form. After that, they are requested to upload some relevant documents in the application form in the given size and format as mention on the official website. In both online or offline mode, applicants can pay the application fee according to their preference. In online mode, the fee should be deposited by debit card, credit card or net banking facility. And in case of offline mode, one should deposit the fee by demand draft. The application fee is nonrefundable and nontransferable. Applicants who belong to general category need to pay Rs 300/- as application fee. And reserved category applicants need to pay Rs 200/- as application fee. Com / B.Com (computer applications) or BBA degree from a known university is a must in order to apply for M.Com. One must have passed B.Sc. in the respective discipline in order to get admission in M.Sc. courses. 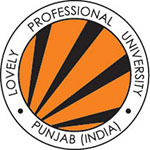 In order to get admission in MPT course, one must have completed the BPT course from a known university with 50% marks or above. Those applicants who have completed 1st-degree exam of the university are eligible to get admission in M.F. A. course. In order to get admission in M.HOSP. 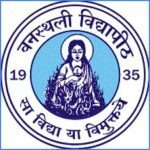 course one must have completed minimum 4 or 3 years of a degree course in Hospitality Management / Hotel Management / Hotel Management and Catering Technology of Rashtrasant Tukadoji Maharaj Nagpur University or of any other statutory University equivalent to it were possessing the minimum of 50% of marks. Those applicants who have completed a bachelors degree in the relevant field are also eligible to get admission. However, it is important that one must have completed HSC exam from a known board. NOTE: The eligibility criteria is different for each course so please refer to the official website of the university in order to get detailed information. The details of the entrance exam will be updated on the official website of the university by the official authorities for the reference of the applicants so we request them to refer to the website. And it will be available in online mode on the official website of the university for the applicants. However, there are no other modes available for the applicants to get the admit card other than online mode. Applicants need to download the admit card from the official website. Official authorities will be responsible to update the results of the applicants. However official authorities will also send the hard copy of the results to the eligible applicants by post. 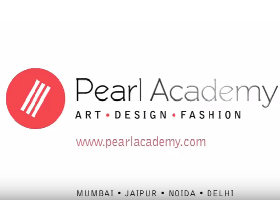 In order to appear for the admission procedure, it is important that one needs to fill out and submit the application form available on the official website. Official authorities will provide admission to the eligible applicants who successfully meet the eligibility criteria set by the institution. And for the reference of the applicants, official authorities will update the complete information related to the admission procedure on the official website of the university itself. So applicants need to go through the website in order to get complete details of the admission procedure. For any other queries about RTMNU Admission 2019, you can leave your queries below in the comment box.